Lynne Hilton and Jenni DeWitt, both of Nebraska, are taking on a minimalist challenge in January. Lynne Hilton and Jenni DeWitt are best friends of nearly 20 years who have committed to texting each other every day in the month of January. Their texts are focused on one thing: The items they are getting rid of from their homes. Hilton and DeWitt are decluttering in the month of January and using their texts to hold each other accountable. The friends are following a modified version of The Minimalists challenge of getting rid of the same number of items as the day of the month, so one item on Jan. 1, two items on Jan. 2 and so on, all the way through Jan. 31. 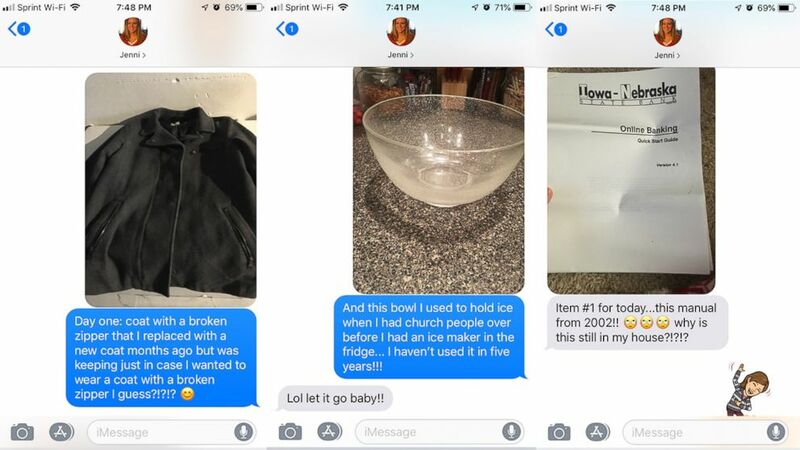 Along with photos of the items, the friends' texts also include the reasons why they kept the items and why they're getting rid of them. 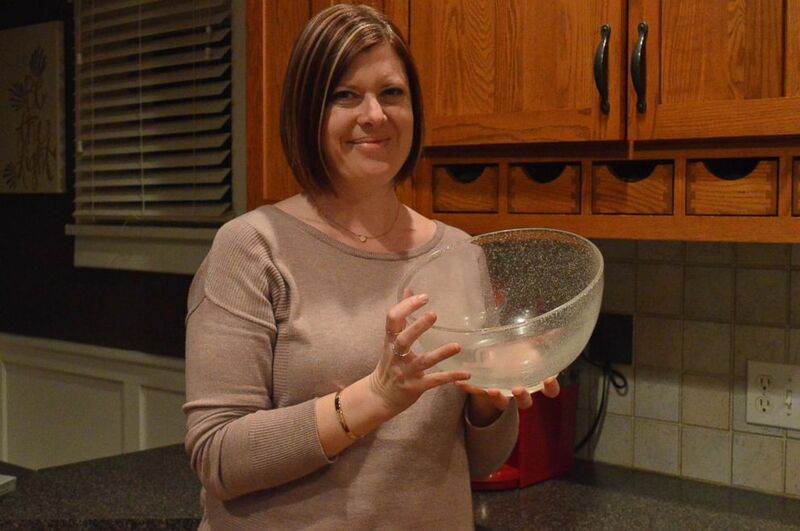 Lynne Hilton, of Nebraska, holds a bowl she plans to donate. 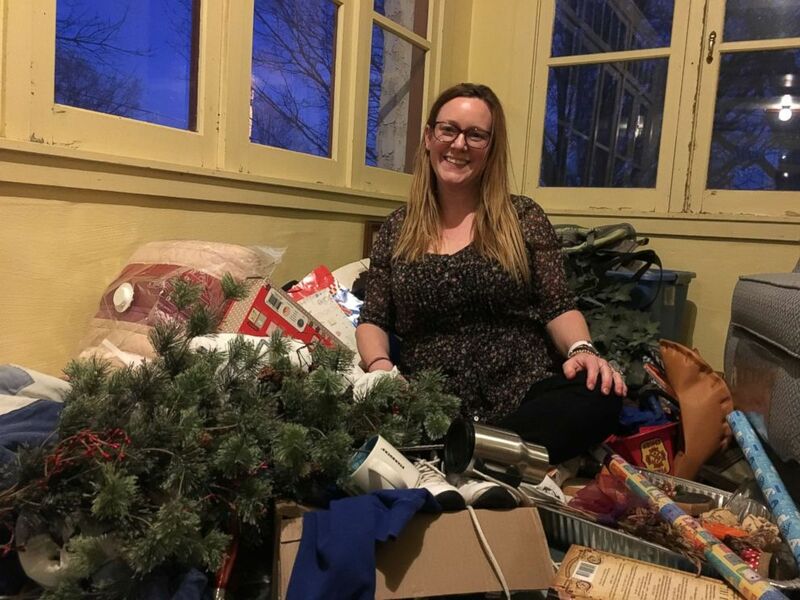 "I have tried to declutter off and on before but it never really stuck," said Hilton, 36, who lives with her fiance, daughter and stepdaughter in Freemont, Nebraska. "Now I look forward to receiving her texts and seeing the things she’s throwing away and the funny stories, and I have to text her every day so it’s held me accountable." Nearly 90 minutes away, in Albion, Nebraska, DeWitt, 37, a mother of two and a writer, said texting the items she is getting rid of has not only held her accountable but also made her look more deeply at why she has held on to items like a name tag and paperwork from a bank she hasn't been to in over 10 years (real items, according to DeWitt). Jenni DeWitt sits among items she is sorting through in her Nebraska home. "Texting has made me look at, 'Why am I holding onto this? Why am I afraid of not having this? Do I really need this to be okay?,'" she said. "I've learned to tell myself, 'Release it. What I need will be there.'" Hilton, who works in the mortgage industry and writes her own blog, said of the challenge, "I’ve learned how easy it is for stuff to fade into the background and for you to think, ‘Oh this is useful.' Now I look at something and think, 'I don’t use this and it could find a new home.'" 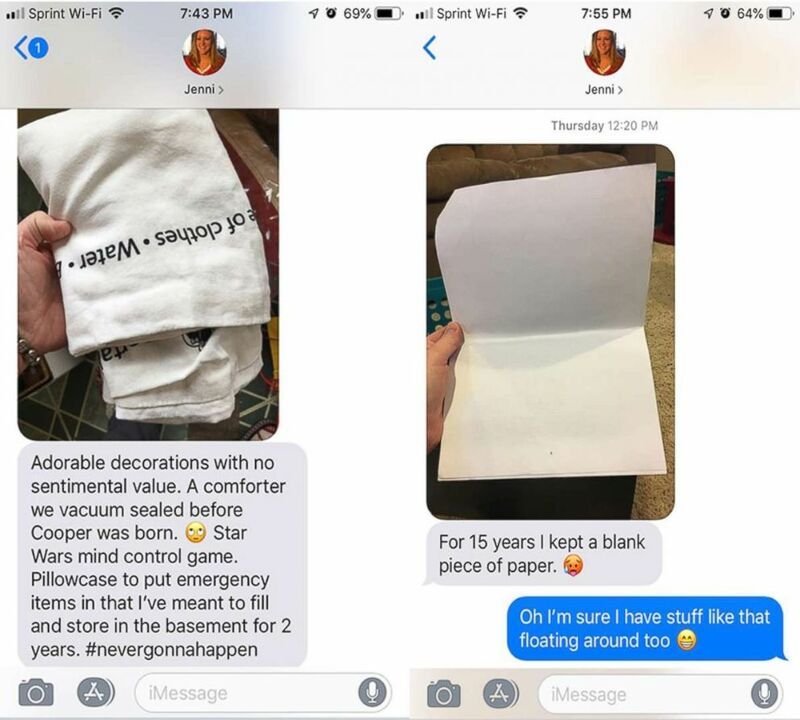 Lynne Hilton and Jenni DeWitt, best friends who live in Nebraska, text each other the items they are giving away in January. The two friends, who met in college, both said that getting rid of items has given them "mental energy" and a feeling of clarity in their homes. DeWitt, who wrote about starting the challenge, has cleared so much space in the first week alone that she was able to create a writing nook for herself in her bedroom. Hilton said the challenge has allowed her, for the first time in years, to look at her home with "fresh eyes" and helped her to let go of the past. "In my early 20s I envisioned myself entertaining so I have big serving platters and big crystal bowls and serving utensils," she said. "But we don’t really entertain, and if we do, it's not that formal." DeWitt and Hilton are each keeping a pile of their discarded items throughout the month and then plan to donate them at the end of January. Ready to try a decluttering challenge with your friends? Here are the keys to success, according to DeWitt and Hilton. 1. Establish rules ahead of time, like deciding how often to text and when you will donate the items. 2. Make the challenge your own by deciding what counts as an item (is it a piece of paper or a filing drawer or both) and how long you want the challenge to last. 3. Figure out what's realistic so that you will see it all the way through. 4. Make it fun by remembering this is something fun you are doing with your friend.